In triangle ABC, bisectors of angle B and angle C meet each other at point P. Line AP when extended, cuts the side BC at Q. 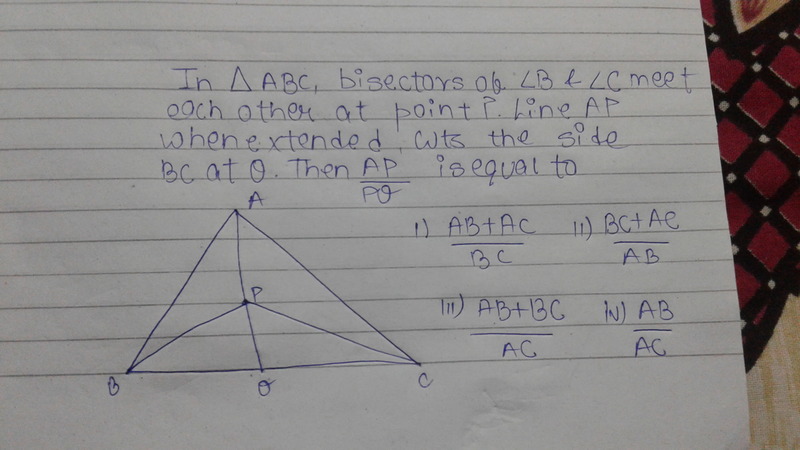 Then AP by AQ is equal to 1)AB+AC by BC. 2)BC+AC by AB. 3)AB+BC by AC. 4)AB by AC.